How many cars will be in the laneway? How many people will be using the front walkway and steps as the main entrance to the residence? How many guests or family members will be using the outdoor patio table or lounging in chairs? Is a walkway to a storage shed required? At this point, once we’ve gathered the important information, we go to work on a landscape design and plan of action for the landscape building process. We start by determining what machines and tools are needed as we walk around your property, and assess how much reinforcement will be required underneath the stones (the quality of the sub-base). This walk-thru allows us to address the interlocking stone applications for every specific need. There is a wide variety of interlocking stone colors, materials and patterns out there to choose from, and Ottawa Home and Garden’s role is to guide our clients in choosing the right interlocking stones for their project. In many cases, budget plays a large role in the final decision, and we are pleased to offer many options that fit within a wide range of budgets, from basic patterns with straight-edged stones, to more intricate interlocking stone designs with curved lines. Keep in mind, when interlocking around a pool, you need to have a combination of interlock stones and textures installed properly that are able to work with the contour of the swimming pool, are easily graded for drainage, and are soft or manageable for bare feet. This is in contrast to the needs of the driveway, where there are stones structured for this specific application that are of a much different density and size. With so many types of interlocking stones available, when a client points out an interlocking stone in a brochure, at another property, or even online, we can explain the installation process of the particular interlocking stone so it meets the expectations and requirements for the structured area we will be transforming. Not all interlocking stones or interlocking pavers are conducive to every application, so before we install a particular stone, we address its texture so you’re aware of its potential pros and cons. Again, some interlocking stones are great for bare feet around a pool or front walkway and laneway, but others are not so easy to shovel in the winter time if the space is used year-round. In Ottawa’s tough winter climate, you’re going to want to make sure the interlocking stones you choose are going to hold up year after year, and that’s where we come in! 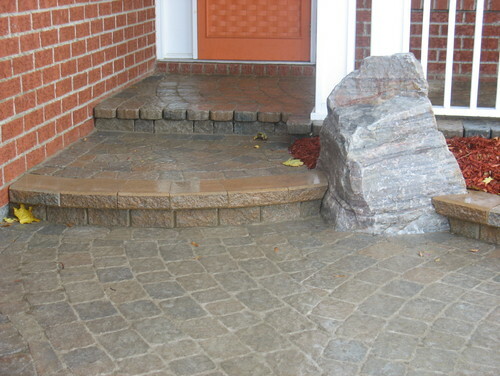 Every interlocking stone project Ottawa Home and Garden does is custom-built. For example, many color combinations can be installed together to suit a client’s personality. The goal is to build a space you will love, along with a space that adds value to the property, so we invite our clients to be forthcoming with their likes and dislikes. We make sure to work with you and your ideal design, while making recommendations along the way. Once the interlocking stone is chosen and everyone is on board with the design, the project can enter the construction phase. This process is a specialized field since we are constantly managing materials and the installation of materials that are correct for the application. As we install the interlocking stone, the project comes alive and you begin to see the finish line. This is the most exciting part of the project, where you are just moments away from enjoying your beautiful new space. 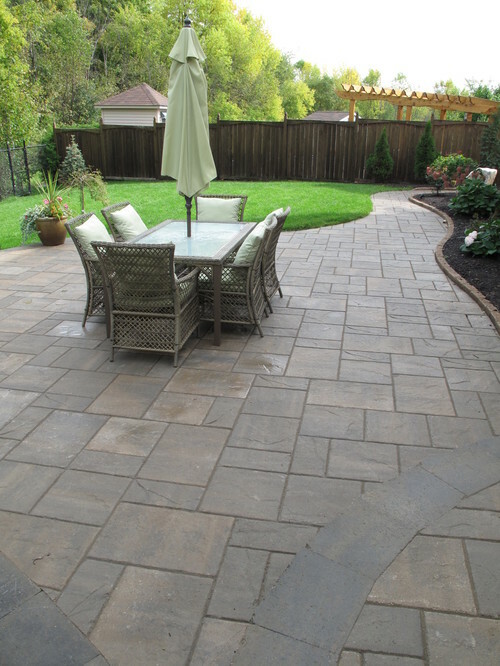 For more information about Ottawa Home and Garden’s interlocking stone services, please take a look through our portfolio, and give us a call or email us today! We’d be happy to provide you with a free estimate and go over your options.